Ann – Nev.: I recently went to the hospital for the first time with my chronic obstructive pulmonary disease. The bill to Medicare was $13,500 for a day and a half. During this time, the hospital did a chest X-ray, gave me four breathing treatments and then proceeded to bill me $750 for three azithromycin antibiotic pills taken by mouth while in the hospital. These, I was told, were “not covered by Medicare.” But they would have cost about $40 at Wal-Mart or CVS without insurance, which I had. When I questioned the amount, I was told the hospital set rates at whatever they want for such doctor-prescribed pills taken by mouth in the hospital. I complained and refused to pay the bill. I contacted Medicare. The hospital finally settled for $75 and a write-off. This was ridiculous and a taxpayer rip-off. Something has to be done. Phil Moeller: Patients and their families need to stand up as Ann has done. The more times they do, the better off all Medicare beneficiaries will be. Now, hospitals are not free to charge whatever they want. But they are allowed to charge a lot more than would be allowed under a Part D drug plan. I’m not sure of the exact circumstances of Ann’s billing situation nor of her specific Medicare policies. But it doesn’t surprise me that such a mess occurred. Medicare drug coverage can be very confusing, with no fewer than three different parts of Medicare possibly covering her drug use. According to experts at the Medicare Rights Center, if Ann was an inpatient in the hospital and this medication was related to her inpatient treatment, it should be covered under Part A of Medicare. Drugs taken as an outpatient — either in the hospital or a caregiver’s office — are normally covered by Part B only if they must be administered by a health care professional (such as an IV). However, the Medicare Rights Center noted that even if all Ann needed to do was pop the antibiotic pills in her mouth with some water, they should have been covered by Part B if the drugs were medically necessary as part of her outpatient treatment in the hospital. (By the way, even if Ann stayed overnight in the hospital, she still could be classified by the hospital as an outpatient. This is related to another part of the unfathomable Medicare playbook.) Lastly, even if Ann’s pills were not related to her outpatient treatment, they still should be covered under her Part D Medicare prescription plan, which I assume she has. In that event, she could have filed a claim with her Part D insurer, and it likely would have paid the hospital far less than what Ann was billed and perhaps even less than the $75 she finally paid. In fact, she still could file a claim with the insurer for that $75 payment. Paul – Md. : My retiree health insurance is through a federal program. There is no difference between my cost and the cost for a current employee. This appears to be the case with all federal employee-retiree programs. I keep it for the medicines I need. The cost for a Part D prescription drug plan is higher when all costs are factored in. What part did the jackasses in Congress play in this deal? Phil Moeller: Paul is correct, according to retiree health care expert Bruce Richards at Mercer, the large benefits and consulting firm. Whereas private employer retiree health plans should cost less than active-employee plans, he says that the Federal Employees Health Benefits Program may charge the same amount of money to current and retired employees. However, federal plans are also the only type of major health plan whose members may not have to sign up for Medicare when they retire and turn 65. They may be able to get satisfactory coverage from their Federal Employees Health Benefits Program plan. Also, if they do wish to get a Medicare Advantage plan, they can suspend their federal coverage, stop paying those premiums and only pay for the Medicare Advantage plan. Paul might want to look into this option. Richards also notes that some Medicare Advantage plans charge no premiums. Paul can go onto Medicare’s Plan Finder to locate such a “zero premium” plan where he lives and then decide if it makes sense for him, particularly its drug coverage. Mark: I am 67, and I recently filed and suspended for Social Security benefits successfully. I am still employed (with a firm of more than 20 employees) and have full medical coverage and a high-deductible health plan with a health savings account. I indicated this on my application to Social Security, but they signed me up for Medicare Part A anyway. I want to keep the health savings account, which is not, as I understand it, permitted with Medicare coverage. I have received a form to terminate Medicare coverage (OMB-0938-0025), but want to be sure I am doing the right thing and not making a future costly mistake by terminating it and then not being able to sign up for Medicare once I actually do need it or being subject to any penalties when I do sign up. Phil Moeller: Filing for any form of Social Security, even if benefits are suspended, triggers the provision of Part A coverage and invalidates participation in a health savings account. This is a non-negotiable, unavoidable consequence of filing for Social Security. According to the Social Security Administration, which oversees Medicare enrollments and eligibility, you cannot withdraw from Medicare, but you could withdraw from Social Security. This would rescind your Part A Medicare entitlement and allow you to continue participating in your health savings account. However, be careful before doing this. I don’t know why you filed and suspended for Social Security, but there could be adverse consequences if you withdraw this filing. For example, you might have filed and suspended to enable your spouse or eligible children to file for Social Security benefits based on your earnings record. If this was the case, withdrawing your filing would end their benefits. Moreover, any benefits they had received would have to be repaid in full should you withdraw your own filing. Deborah (and many, many other readers) – Calif.: I am 64 and am still working. I have been collecting early Social Security and have medical insurance through work. Do I need to sign up for Medicare? I am getting bombarded with phone calls and mail for enrollment. Help! 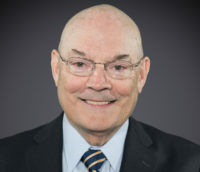 Phil Moeller: Unless your employer health plan involves fewer than 20 employees, you are under no obligation to sign up for Medicare when you turn 65 or, indeed, at any age, so long as you are an active employee. People in smaller plans will need to get Medicare when they turn 65, because these plans are designed so that they become the secondary payer of health claims, and Medicare automatically becomes the primary payer when an active employee turns 65. Kathryn: I will turn 65 in July, and I am starting to research my Medicare options. I still work for a large employer who provides my health insurance. I plan to work for a few more years. Do I have to keep my employer health plan or can I drop it and go on Medicare? I will be paying $33 per month for my portion of the employer plan, but it has $1,500 deductible plus a 30 percent copay. It is not clear to me if I have that choice or if it is mandated that my employer’s plan is the primary and Medicare is the secondary. Phil Moeller: I regularly get questions from people who are worried they need to get Medicare when they turn 65 even if they’re still working. They do not unless their plan has fewer than 20 employees. I don’t get questions very often from people who do not need to get Medicare, but want to explore it anyway. As it turns out, Kathryn is free to not get employee health insurance when she turns 65 (or, indeed, at any other age as well). But she should proceed carefully, making sure she’s not costing herself money or getting inferior coverage by having only Medicare. Original Medicare (Parts A and B) also have annual deductibles and copays (usually 20 percent and not 30 percent). 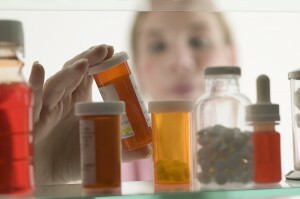 Private Part D drug plans also usually have up-front deductibles, and so may Medicare Advantage plans. However, if a Medicare-only approach turns out to be the best option, there is nothing to prevent Kathryn from pursuing it.